Fleets operating out of premises in rural areas may not have seen a great deal of improvement in terms of the state of local roads in recent years, despite high-profile investment in some of the UK's busiest trunk routes. This is the conclusion of a new poll carried out by the Federation of Small Businesses (FSB), which revealed how just one in ten small business have benefited from transport network improvements in their area in recent years. Indeed, 89 per cent of those surveyed said that delivering an enhanced transport network near them would help in many areas of their operations, not least in ensuring deliveries and services can be more reliable and made more widely available. FSB national chairman Mike Cherry commented: "The government is investing in transport – but the lion's share goes to big flagship projects on the strategic road network. "Most small businesses mainly rely on their local roads and public transport, so there is a strong case to prioritise investment in these smaller projects, which will help to alleviate congestion and bottlenecks." 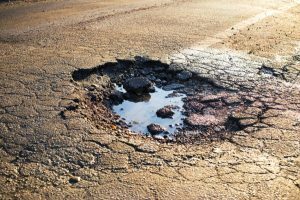 Overall, the research revealed the most common issues faced by businesses in rural areas at present are high volumes of traffic on many routes, potholes that are a hazard and cause damage to vehicles, and the ongoing high cost of fuel.